Patient-Centered Resource Guide packed with information! Never before has there been such momentum for engaging patients in the development of medical products, not just in clinical trials but throughout the medicines lifecycle. From discovery of potential therapies to assessing effectiveness in real-world use, stakeholders agree that meaningful patient involvement is the best way to ensure patient needs are met. With the goal of putting patients at the center of medical product decision-making, a growing number of engagement approaches are available for use. “How to” discussions are ubiquitous, and it is challenging to know which efforts are demonstrating positive results and may merit continuation or wider application. Impact measurements provide key information to determine whether engagement efforts are working, whether stakeholders’ efforts have been well spent, and that patients are benefiting. Yet recent work has shown that companies have not consistently defined or collected metrics to assess the impact of their patient-centric efforts. This conference is designed to help sponsor companies and patient organizations build their abilities to measure the effectiveness of patient-centric efforts. The focus will include developing and implementing measures, both quantitative and qualitative, to assess engagement effectiveness in reaching objectives for patient-centric practice. Also presented will be case examples of how peers have measured the impact of their patient engagement efforts at multiple stages throughout the medicines lifecycle, and uses of impact data within organizations to advance patient engagement programs and initiatives. You will leave with strategies, tools, and a network of resources to measure the impact of patient-centric initiatives in your own setting. We’re proud to announce that the Measuring Impact in Patient-Centered Drug Development Conference is Patients Included! We are committed to incorporating the experience of patients as experts in living with their condition while ensuring they are neither excluded nor exploited. 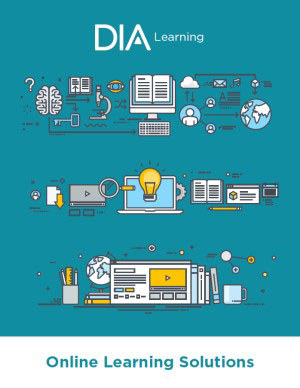 To give you even more patient-related content, we have curated a resource guide containing our eBook on the conference, exclusive recordings of three DIAmond Sessions from the DIA 2018 Global Annual Meeting, as well as two infographics detailing why this is the can't-miss patient conference of the year! Where and when does patient engagement occur, and how can it be measured there? Hear our audio recording of Kathleen Maxian, founder of the Ovarian Cancer Project, as she discusses the mission, the vision, and other insights into the work of the Ovarian Cancer Project with Senior Managing Editor and Associate Director for DIA Publications, Dr. Ranjini Prithviraj. You can also view the video recording of the interview! Check out the audio recording of our DIA 2018 video interview featuring Jan Nissen, MBA, Vice President of Patient Innovation, Merck & Co., Inc., and Deborah Collyar, Global Forum Patient Engagement Co-Editor and Founder, Patient Advocates In Research, as they discuss the importance and value of engaging patients in innovative research and product development. Take a listen to our podcast with Jeffrey Sherman, MD, FACP, DIA Fellow, Chief Medical Officer and Executive Vice President, Research and Development, Horizon Pharma, and Ron Bartek, MA, Co-Founder/Founding President, Friedreich’s Ataxia Research Alliance. Dr. Sherman serves as DIA’s liaison to the Clinical Trials Transformation Initiative, and co-authored the TIRS article The Rules of Engagement: CTTI Recommendations for Successful Collaborations Between Sponsors and Patient Groups Around Clinical Trials, which will be discussed.